It would appear I have enough shampoo and conditioner to last for quite possibly the rest of the year - good to know as I tend to pick up more when it's on sale. I cleaned out my closet big time, donating a lot of clothing that is in great condition to our local school district's free closet - seriously, it was silly to hang onto things like dress pants and the like when I never wear them. If there comes a day when I do need them, then I'll just have to buy another pair, but in the meantime, they'll serve someone else much better. I also, finally, was ready to let go of a lot of race shirts that I just don't wear. I can't tell you how good it feels to walk in my closet and see empty space - ahhh. It's like I can breathe in there again. An old gold bangle bracelet, circa 1970-something, but it looks just like the retro jewelry I saw while shopping with my friend Andi in Houston last Saturday! Zoomed in - hey, it's a Monet! This was the fancy brand of costume jewelry back in the day! 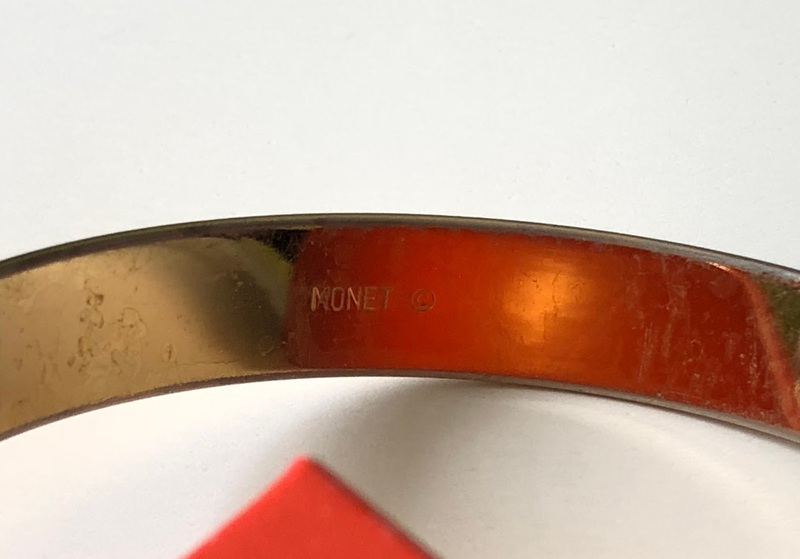 Just when I was feeling smug for having owned a Monet bangle, I came across my Swatch watch. 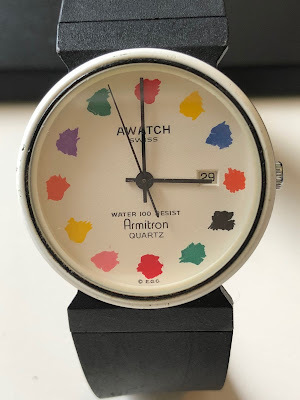 No, wait, my AWATCH watch. Because Swatch was too expensive, LOL! Now that is too funny. Child of the 70s, right here - Avon perfume pin, Holly Hobbie pin made out of an old eyeglass lens, homemade macrame choker, along with the chunky initial necklace and a rainbow heart...I was styling, yes I was! 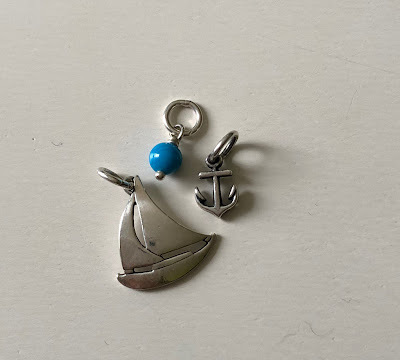 The best part of going through my jewelry was that I found my tiny anchor charm, which has been missing since last November. I thought I must have dropped it on the carpet and then vacuumed it up at some point, but it was tangled with a pair of dangly earrings that I haven't worn since, you guessed it, November! So yay - I'm a happy camper now that my little nautical set has been reunited. I like to wear one, two, or all three of these charms on a necklace. Well, it's been raining since Tuesday, so who knows if we'll get to run tomorrow. I do know we'll be having breakfast with our running buddies, regardless of the weather. Annndddd, we'll be doing more packing. Fun times! ...and of all the stuff I got rid of? None of my oldies! 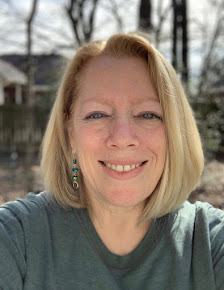 Thanks for sharing your fun jewelry pieces! I'm glad you found your anchor. 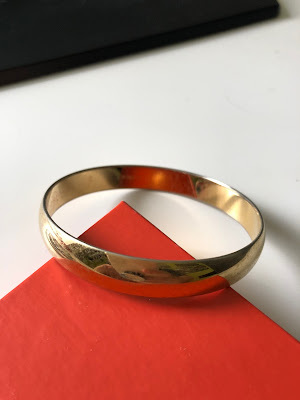 As one who is constantly "losing" jewelry due to putting it on for work, then taking it off at work when I get dressed to go to the gym, I get how frustrating that is. My issue is that I'm not consistent and sometimes I take if off at the office and other times I realize I still have something on as I pull up to the gym,so off it comes in the car. I feel like all I do most days is look for jewelry. What a great idea to mimic a kitchen island to see if you'd like it - and I agree more storage is a good thing in the kitchen! I hate losing jewelry and this one really bothered me because I only bought it in May, after waiting several years to get it. If I had to do what you do with work and then gym, I'd be missing jewelry all the time, I know it. 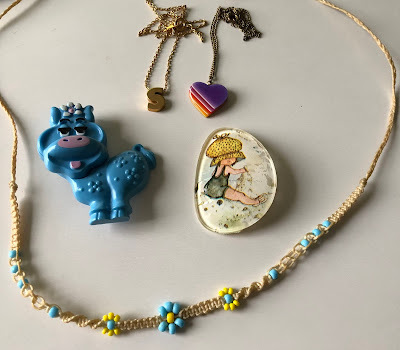 I love all your 70s jewelry!! I used to LOVE those little perfume pins. And I think I had that little stripey heart necklace too. Man, I miss the 70s/early 80s. I like your idea of putting the boxes there to see how you'll like having an island. I love my island. The only little problem is that I tend to dump stuff there. Sometimes its more cluttered than I'd like. And so funny about your cleaning/organizing bug. 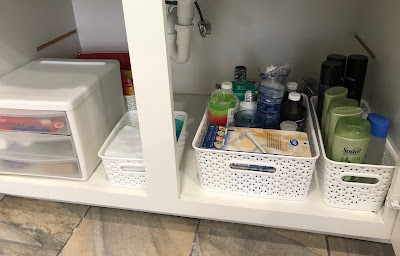 Just yesterday I looked at the drawers in my bathroom, wondering if I should straighten them out, and I actually thought, "I wonder what Shelley would do?" That last line made me laugh out loud! My thought would be more like, "I hope Shelley doesn't just pop in and see the crap storm that is my closets and drawers." Hahahahaha! Ladies, my cleaning services are available...my fee is your home-cooked meals, as I know both of you are excellent cooks! Those pieces are fun! 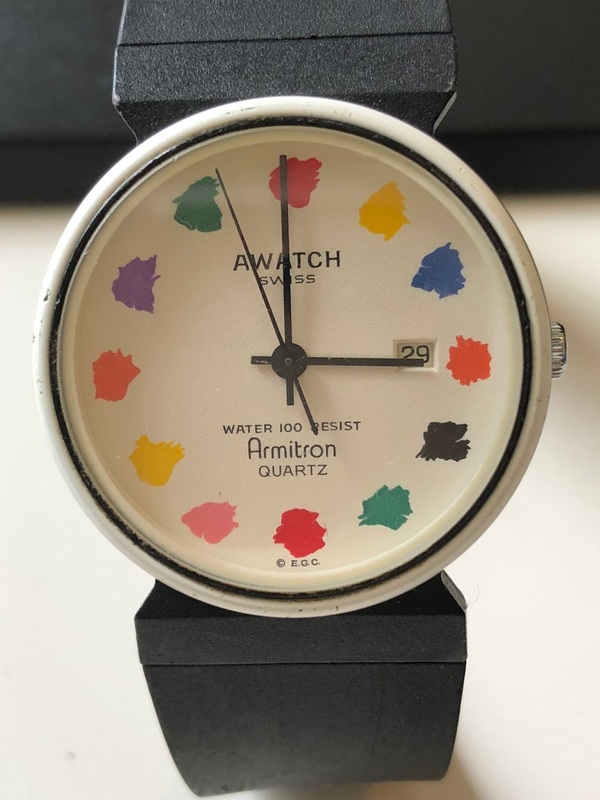 I had a swatch watch, but it was the lowest end and not cool like all the others LOL. FYI, you might want to check Amazon for your packing boxes unless you are getting those cheap from Uhaul. Amazon is much cheaper. 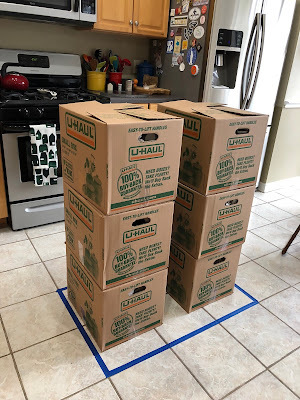 Actually Uhaul is cheaper than Amazon, plus they will buy back the used boxes. Angela, that is too cool! I love it when the organization bug hits! It feels so good to get rid of stuff!!!! Ahhh. I love seeing your older jewelery pieces! I am glad you found the anchor charm! Well that jewelry tour was fun, as I am your age and can fully relate. 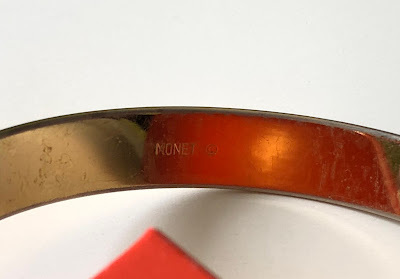 I didn't keep as many of my childhood things, but I do have some Monet stuff from maybe my 20's. I had the Avon skunk perfume pin! He was so cute, and he smelled good for a skunk. I too am decluttering and *talking* about a kitchen reno. We survived our bedroom & master bath redo, so there may be hope for us for marriage after the kitchen.